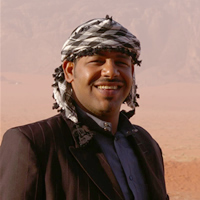 Has been working in the tourism business at Wadi Rum for the past 8 years. He works at the Wadi Rum Tourism Center and is the owner and manager of Bedouin Life desert camp.He is the manager of the business, a fine entrepreneur and truly connected to desert life. He is one of the most famous poets in the Arab world, competing in Abu Dhabi with twelve thousand other poets from around the Arab world, winning number 8. The oldest sibling, has recently completed a B.A. in Tourism Science at the University of Amman. He is also a recognized writer and poet, and recently won an international poetry award for the Arab League area. 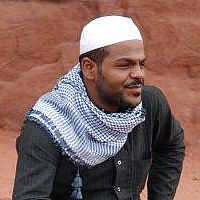 Yaser will guide you in the desert with the benefit of his vast experience of the desert of Wadi Rum.